Together we can rock 'n' roll! Quo-caine formed in Autumn 2004. We all had one thing in common - the love of the mighty Status Quo, so set about rehearsing and building a set list. As the sounds and performances became more authentic we realised there was something special happening - and the band has gone from strength-to-strength ever since! 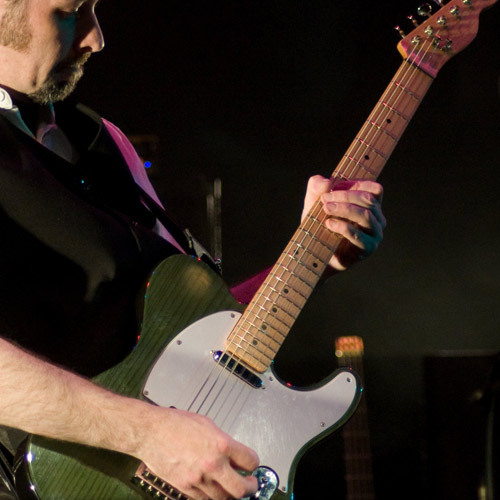 The recreation of an authentic sound is the most important aspect to Quo-caine. But don't take our for it – come and judge for yourself by checking out our gig list. There is an infectious rock 'n' roll vibe with Quo-caine which is quick to project itself when playing live and we're sure that anyone who attends a show (which lasts at least two hours) will be converted to the vastly underated musicianship of the mighty Quo! Having enjoyed theatre shows as well as shows abroad, we are all well road-worn and love to play anywhere we’re asked to do so. 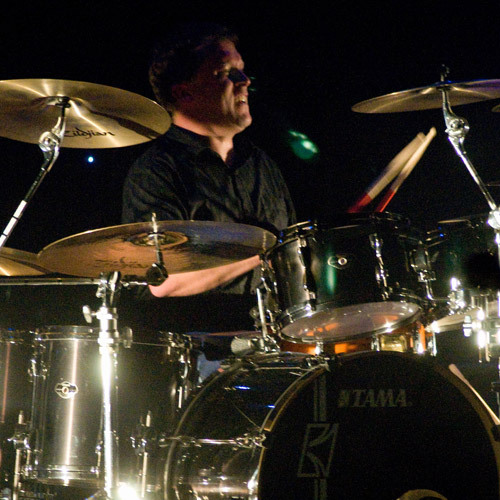 Since 2016 we have been fortunate enough to share the stage a few times with one Mr John ‘Rhino’ Edwards (Quo's very own bass player) who doesn’t think we’re that bad either – a fine endorsement if there ever was one! 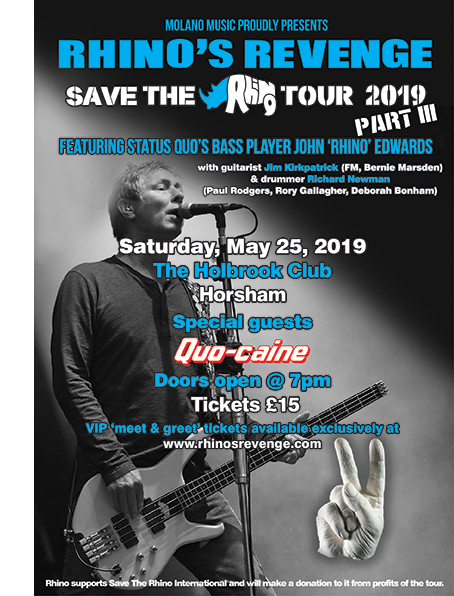 Once again, Quo-caine are delighted to be supporting Rhino's Revenge on the closing date of their European tour on Saturday 25th May at The Holbrook Club, Horsham. Tickets available by calling 01403 751150. 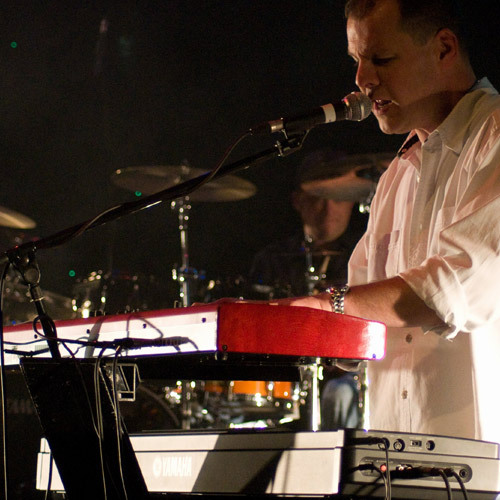 Don't miss out on this fantastic night at this equally fantastic venue! See poster artwork (right). 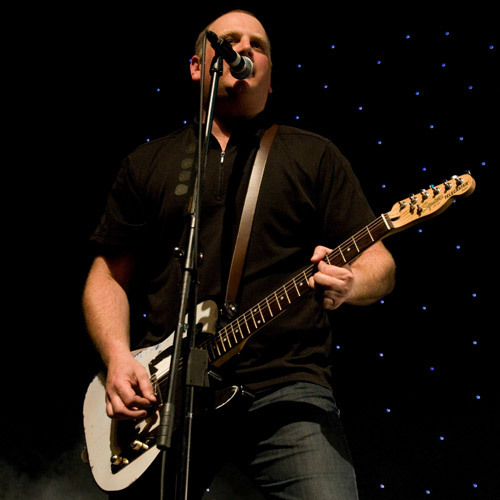 To book Quo-caine for your venue, party or whatever you have in mind, please contact us today! Quo-caine to share the stage once again with Rhino's Revenge on 25 May 2019 at The Holbrook Club, Horsham!